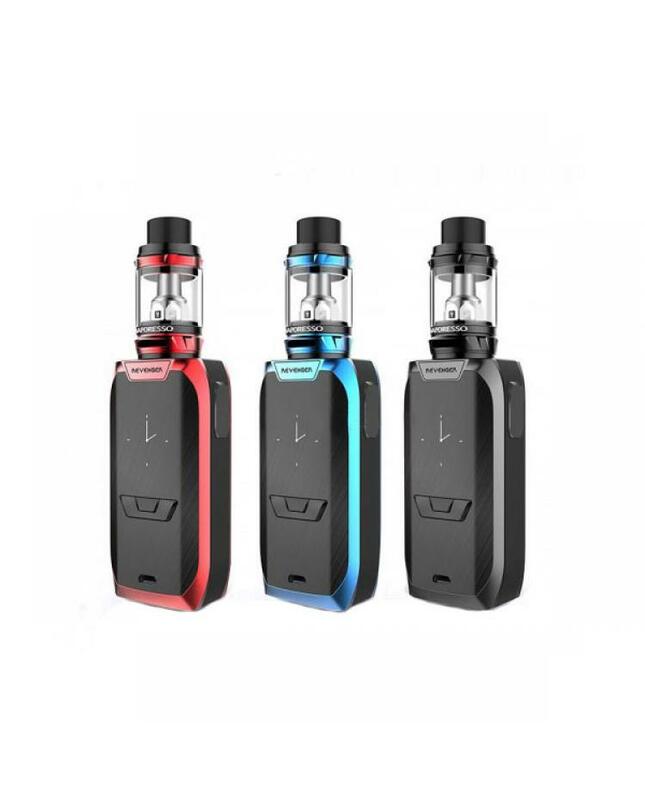 Newest vaporesso revenger vapor mod kits, includes revenger TC mod and NRG tank, three fashionable colors available, the new vaporesso temp control kit max output 220watts, revenger mod powered by 2pcs 18650 batteries, built-in most advanced chipset OMNI board 2.0, features the in-mould labeling case for greater wear resistance, graphics quality and fine texture. 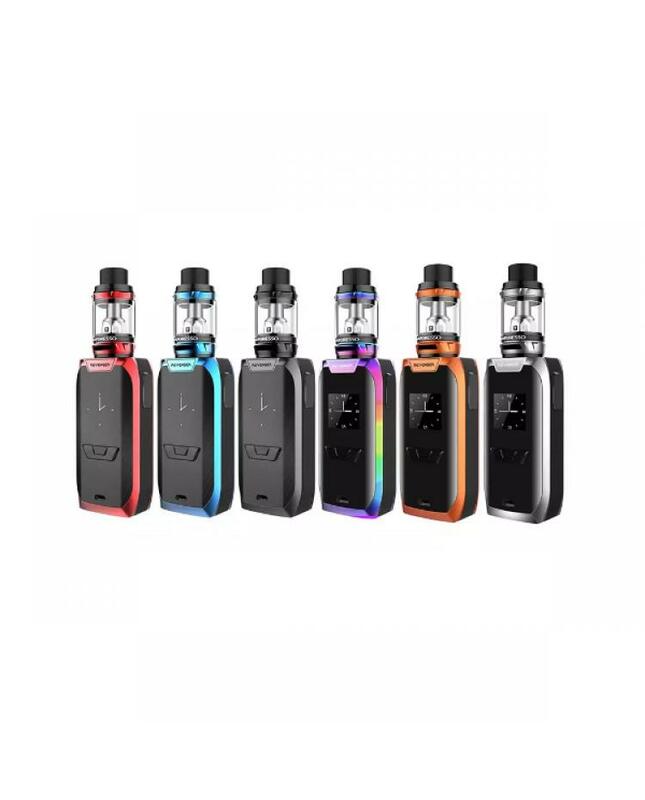 different output modes switchable, support resistance as low as 0.15ohm, the new vaporesso vapor mod with 0.96inch OLED screen, will show you the vaping data clearly. the ergonomic design integrates the all metal fire button on the side for better grip and the industry leading OLED screen with the mode buttons on the side. revenger mod with 2A quick charging system will charge your batteries quickly. the NRG tank can hold 5ml e juice, diameter 26.5mm. the mesh drip tip on NRG tank with the specially crafted structure will prevent any spit back. 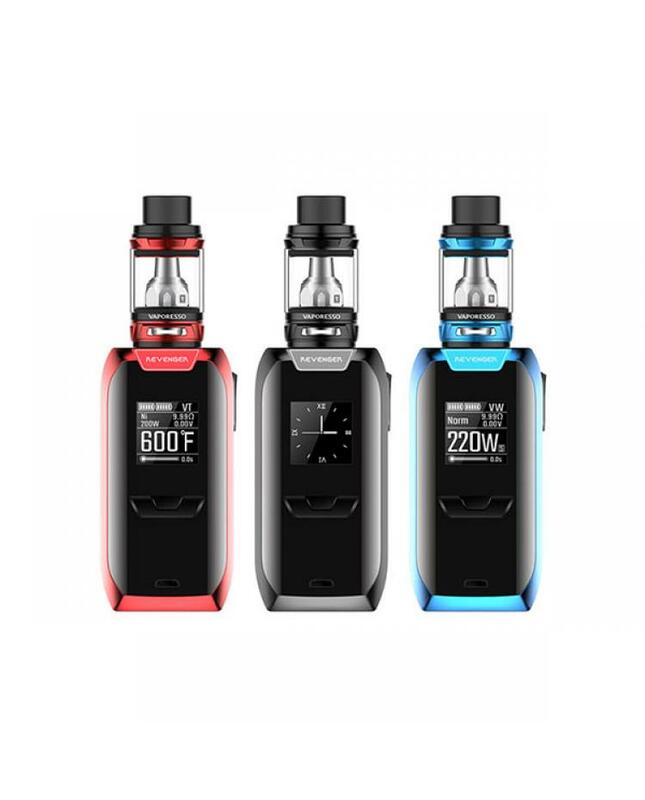 comes with GT8 and GT4 coil heads, will bring you pure flavor and the massive cloud of vapor, vapers also can order other sub ohm GT coils, include the ccell ceramic coil. the side-n-refill design allows you to inject e juice easily and no leaking. 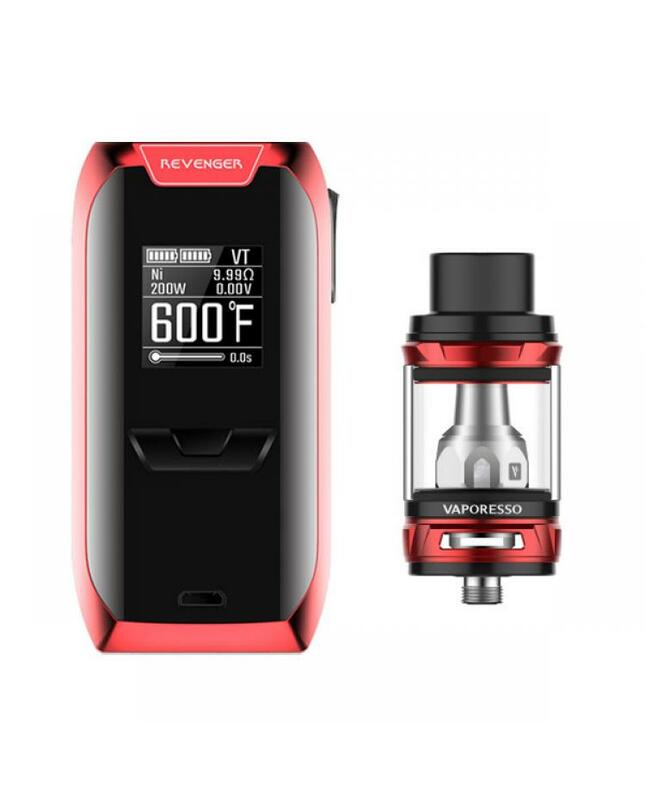 the vaporesso tank also comes with the heating insulation layer on the bottom gives a safer and relaxing vaping experience.